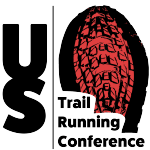 ……and what the American Trail Running Association doing to help support the sport. As a member of the International Skyrunning Federation (ISF), the American Trail Running Association (ATRA) has had a connection to Skyrunning since its early years with the late 1990s U.S. Fila Skyrunner Series. 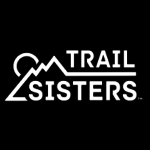 The American Trail Running Association (ATRA) is a 501(c)3 Colorado-based non-profit corporation founded in 1996 whose mission is to promote trail running, mountain running, ultra running on trails, and to provide resources for race directors and participants in our sport – including Skyrunning. We recognize that off-road running encompasses a very diverse community in the U.S. and that Skyrunning is an important stakeholder. We support all defined disciplines of off-road running as well as those that choose not to align with any specific style, or those who create their own unique style. Our executive director Nancy Hobbs organized Skyrunning races in the United States in the 1990s and was instrumental in forming the first partnership with the ISF’s predecessor organization, the Federation for Sport at Altitude (FSA). Learn more about Skyrunning’s history. This past Fall, our Director of Marketing Richard Bolt travelled to Limone sul Garda, Italy for the ISF General Assembly meeting and to observe the Limone Extreme Skyrace. Richard met with ISF executives to reaffirm ATRA’s commitment to Skyrunning, the Skyrunner USA races and American teams competing in world championship events. We offer a variety of membership types; individual, race, club, specialty run, and corporate (brand). Membership is not required to access published content available on our website or received via email. Individual members can benefit from discounts on trail running magazines and are eligible for free race entries distributed through our e-newsletters. Race and club members are eligible to participate in our event liability insurance program. Race, club, specialty run, and corporate members receive visibility and promotion via our website, email newsletter and social media. We have national and international runner members, over 200 race members and over 40 corporate members. With the addition of recent programs, we also have a small, but growing number of club & speciality running store members as well. In 2018, we proactively worked with Ryan Kerrigan and Rob Goyen to support their efforts to grow Skyrunning and Skyrunner USA programs in the United States. With Ryan’s input, we’ve published and shared criteria for US team selection for Skyrunning World Championship events here and here. We also outreach to potential junior candidates who may be interested in the U.S. mountain running teams and the Skyrunning junior team – here and here and here. With Rob’s help, we’ve published his 2019 Skyrunner USA Series press release and added and updated all of his events in our online calendar. This online calendar is our single most popular feature on our website and includes more than 8000 event pages dating back to 1996 providing a historic record. This calendar features international races as well as those staged in the United States and is viewed by users from all around the globe. Nearly 3000 events on this calendar are active at any given time in the year. Recently we’ve updated all the events associated with Skyrunning to include a 2019 race date. These include Skyrunner World Series, Skyrunner National Series, Continental Skyrunning Championships and Youth Skyrunning World Championships. 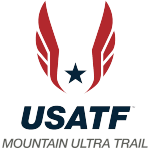 The American Trail Running Association supports the International Skyrunning Federation’s anti-doping efforts which follow the World Anti-Doping Agency (WADA) code. Learn more about anti-doping from ATRA’s “Clean Sport and MUT” series of articles. In 2019, ATRA will be working with our athletics federation, USA Track & Field, to bring WADA-compliant anti-doping tests to the 26 km Broken Arrow Skyrace. In addition to being part of the US Skyrunner National Series, this race is part of the World Mountain Running Association’s (WMRA) 2019 Mountain Running World Cup. The WMRA is also a strong supporter of WADA-compliant anti-doping tests. Our Event Standards Program is our primary best practice document useful for race directors organizing all styles of off-road running events. This is a voluntary no-cost program for event directors. We also have an Event Standard Partner Program for brands interested in providing products and services to race directors. Recently, we published a Trail Running Camp standards document and now offer T.R.I.P. – an event liability insurance program for race directors. ATRA membership is required to participate in this program. Currently over 170 trail running races use our T.R.I.P. insurance. For runners we offer many free articles and resources including “How to get started,” a list of trail running coaches and camps, and how to help maintain trails. We large followings on social media and subscribers to our email newsletters. In addition to regular social media posts and engagement, we send a minimum of 20 email newsletters per year with a monthly email newsletter geared specifically to race directors, and produce a quarterly newsletter, Trail Times, now in its 24th year of publication. As important as our social and email products are, we derive the vast majority of our audience referrals from organic search. To ensure trail runners and race directors can find races, news, how-to articles and resources on our website, we’re actively engaged in a search engine optimization (SEO) program. This program includes optimizing around keywords most relevant to our users including trail running, ultrarunning, mountain running and skyrunning.